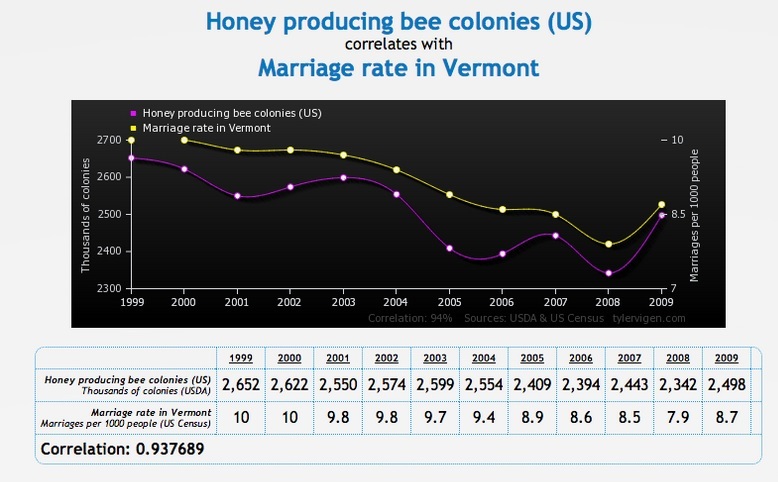 The difference between correlation and causation is an important concept in IB Theory of Knowledge, and I thought readers might find it useful to see some simple fun ways I use to teach the concept. The Internet was awash recently in discoveries made by Tyler Vigen, who wrote a computer program that discovers strange correlations and publishes them on his blog. Hi Larry – I’ve seen the xkcd, but not the others. Thanks. Here’s a cartoon on the same subject I did last spring – http://branzburg.blogspot.com/2013/06/correlation-and-causation.html.